Washout containers are use to control harmful concrete material from contaminating a construction site to ensure the quality of the local environment. CCS washout containers meet all Storm Water Pollution Prevention Plans (SWPPP’s). 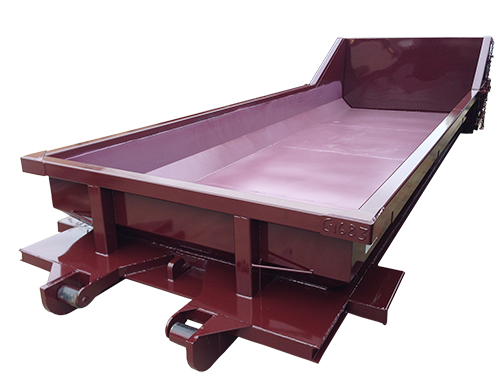 The container is used to washout concrete trucks, pumps and other equipment associated with cement on site and allows for simple transport and recycling of materials and waste. Washouts are solid welded and leak proof. Sizes range from 6 to 10 cubic yards and skid lengths of 12′ to 22′. Side walls usually are 24″ high inside.